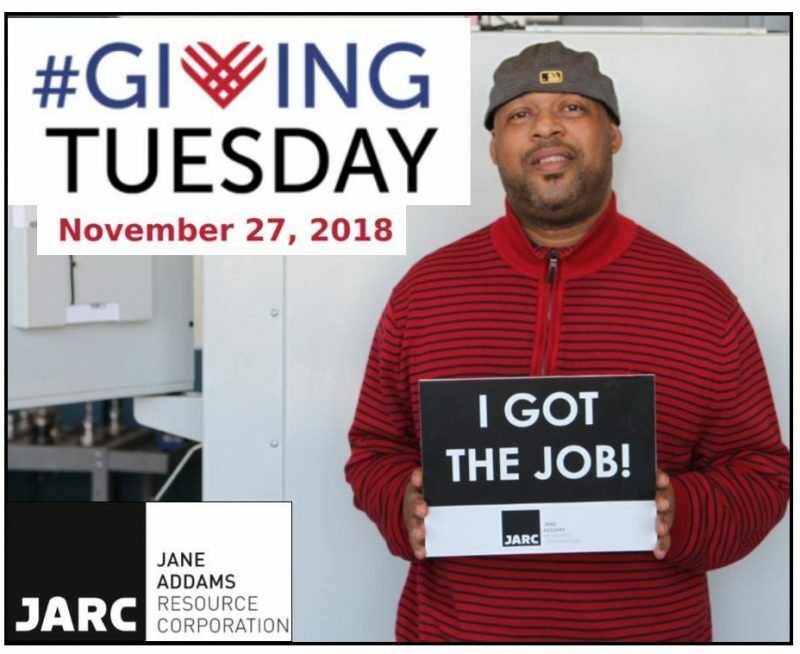 On November 27th, Freedman Seating partnered with the Jane Addams Resource Corporation to give the gift of opportunity on “Giving Tuesday.” In a single day, JARC received a remarkable $2,671 in online donations. With Freedman Seating’s matching contribution, a grand total of $4,171 was raised on #GivingTuesday! JARC is a Center for Working Families that focuses on job training and workforce development. JARC’s job training programs target strategic skills gaps in the manufacturing sector, such as Computer Numerical Control (CNC) machinist and welder. Created by 92nd Street Y—a cultural center in New York City that, since 1874, has been bringing people together around the values of service and giving back—#GivingTuesday connects diverse groups of individuals, communities and organizations around the world for one common purpose: to celebrate and encourage giving. A team of influencers and founding partners joined forces—collaborating across sectors, offering expertise and working tirelessly—to launch #GivingTuesday and have continued to shape, grow and strengthen the movement. Visit JARC’s website to see all the ways you’re helping participants grow.